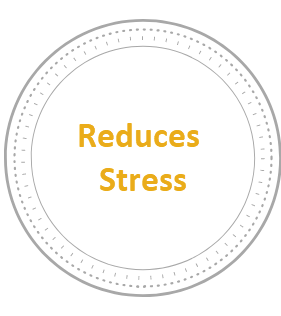 Research studies have clearly demonstrated a strong reduction in perceived stress levels for those who participate regularly in yoga classes. Yoga increases the parasympathetic nervous response (“rest and digest”) and decreases the sympathetic nervous system (“fight, flight or freeze”) activity . Yoga and meditation help us to notice feelings, like pain or anxiety, so that we can recognize the discomfort with presence and compassion. With greater self-awareness, we have a better understanding of ourselves and are empowered to make changes that support our strengths. Feeling anxious or depressed is a common experience. The ability of yoga to decrease anxiety and depression for participants is well-documented. Our yoga classes provide tools like physical postures, stretches, breathing exercises and mental practices like mindfulness to help alleviate symptoms of anxiety or depression. Controlling an impulse, whether it is for drug use or anger, requires a level of self-awareness and respect for one’s self. Multiple studies have documented the effect of yoga on increasing impulse control. Through our methodology, participants begin to learn tools to aid in their own decision-making. 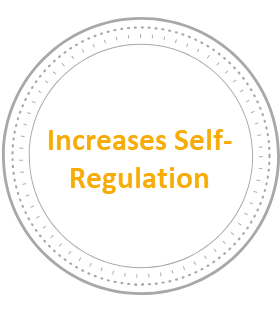 Self-regulation is our ability to self-soothe, whether it is emotionally, behaviorally or cognitively. It is an important skill to develop as it influences one’s ability to calm themselves down or cheer themselves up. Yoga has been found to increase our capacity to self-regulate. Chronic pain can can have a cataclysmic effect on a person going through high levels of stress or working through recovery. Yoga has been found to reduce both the perception of pain and it’s interference in daily life, thereby improving a person’s sense of well-being.